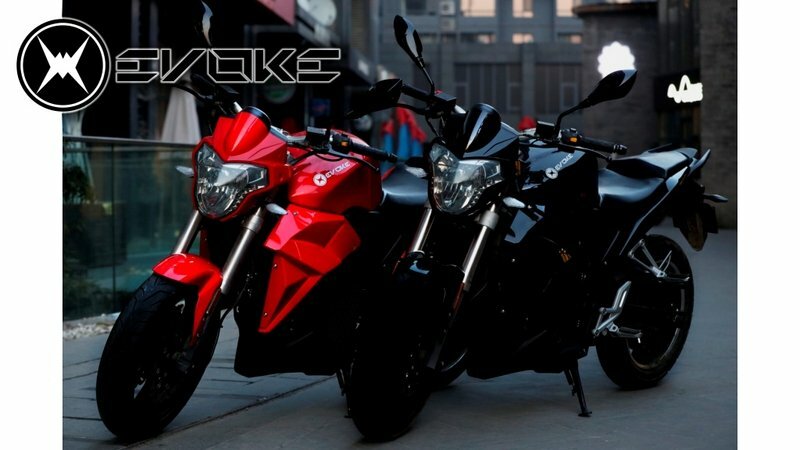 Evoke Motorcycles looks to take on the Zero- and Brammo-based products in the U.S. electric market with its Urban S model that rolls modern, sportbike style and 86 pound-feet of instantly-available torque together with a power pack that delivers a nearly 125-mile range. 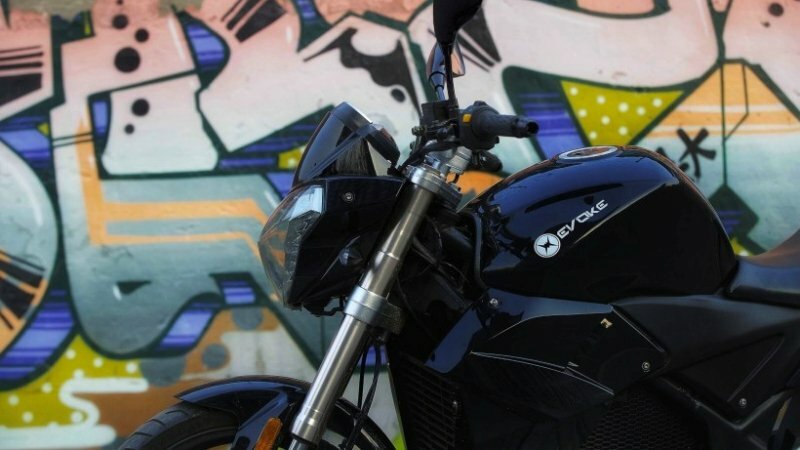 Best of all, Evoke manages to keep the price tag under the 10K mark, so this keeps the bike available to the low-budget riders and entry-level alike. I gotta say that this will certainly help it move in the gradually-warming domestic market, but the real defining factors will be how well it matches up with the other big EV bikes available today. 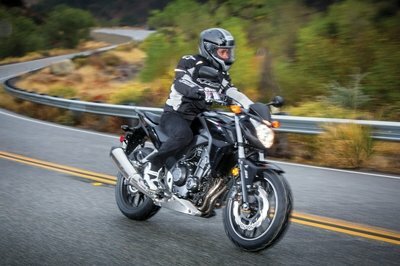 Continue reading for my review of the Evoke Urban S.
Evoke drew heavily from European influences when it drew up the Urban S. A cut-down front fender, inverted front forks and tripleclamp-mount headlight housing lead the way with a Spartan style not unlike current standard and naked sportbikes. Moving aft past the low-rise handlebar we have a fairly typical flyline with an exaggerated fuel-tank bump ahead of the steep drop to the rider’s scoop. A slight rise in the subframe lifts the p-pad just a little bit, and the tail section tapers off to nothing with tucked-away and molded-in taillights. Sure, the rear turn signals are on standoffs, but Evoke mounted them down near the tag holder on the narrow mudguard where they are less likely to mar the looks. 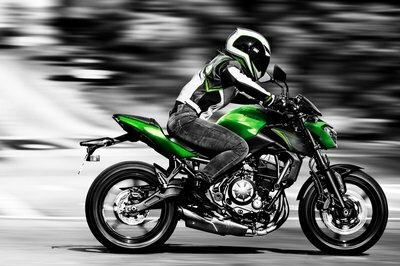 The rider footpegs and short handlebars pull the rider forward into an aggressive jockey position, and a narrow waist at the seat/tank junction leaves plenty of room for body English and provides a fairly straight shot from hip to ground. However, the 31.2-inch seat height will be pushing tiptoe country for shorter riders. At only 54.4-inches long, the wheelbase falls in the mid-size category, but it looks right at home next to comparable smoker bikes thanks to the clever body panels and layout of the “engine compartment” section of the bike. 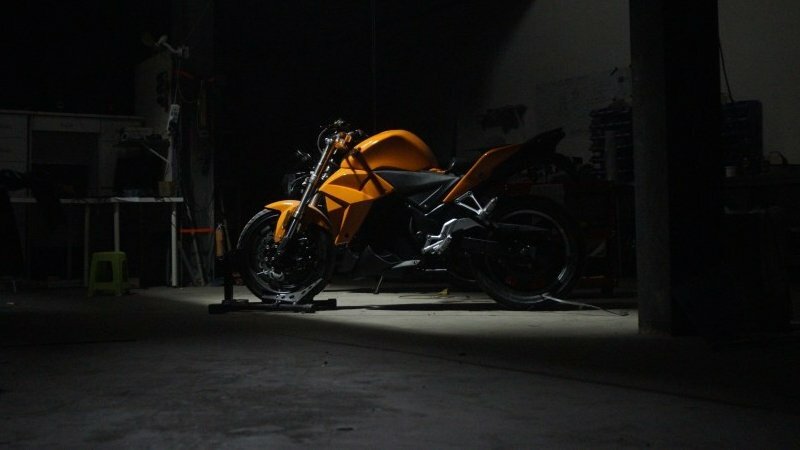 In fact, when viewed from a distance or under way, it could easily pass as a smoker bike at a glance, not that I care about such superficial things, but I recognize that some potential buyers may still be on the fence due to the differentness of the whole electric-bike thing. A five-inch display covers your critical ride metrics and connects to your smartphone via wireless connection so you can use it as an onboard navigator. Gotta say I like that last feature, ’cause nothing damages my calm quite like getting lost, especially when it’s my fault. A tubular wishbone frame forms the bones of the beast with a pair of inverted 42 mm hydraulic forks to support the front, and a single, coil-over shock to buoy the rear. Suspension tuning wasn’t exactly a front-burner issue with the designers, so you can forget about dialing in that perfect ride, but to be fair, the factory had to make some concessions to keep the price below the 10-grand mark. Cast aluminum rims mount 17-inch tires with a 110/70 up front and a 140/70 in back, numbers that provide agile handling and that are similar to current popular sport/street configurations. The brake layout will look familiar as well with a pair of four-pot calipers biting dual, 300 mm discs up front and a twin-pot caliper to grab the 220 mm disc in back. Additional to the standard brakes is the regenerative braking feature that turns the motor into a generator when “engine braking,” and while it behaves similarly to the traditional compression braking on a smoker engine, it has the added bonus of converting kinetic energy back into electrical energy for storage, and this is where a large part of the greater in-town mileage comes from. As with every EV bike, the real magic is in the drivetrain. Integral with the rear wheel we have the high-output hub motor that puts out a grunty 86 pound-feet of torque as soon as you crack the electronic throttle with a developed 25 horsepower. Bear in mind, this is on a bike that weighs in just under 400 pounds, so that power is definitely going to register on the heinie-dyno. Top speed is right around 81 mph, and while you can only get around 75 miles out of a charge at highway speeds, the lower speeds of the city and the regenerative braking feature will milk a total of 125 miles out of the power pack. Evoke uses a 99.2-volt, 90 amp-hour lithium-ion battery for energy storage, and charge times vary between 8 hours for a full charge with level-1 charging down to three hours for an 80-percent, level-2 charge. The level-2 charge certainly seems to provide a fairly quick turnaround time, and that’s a big stumbling block in the fight for mainstream acceptance of electric vehicles in general, so kudos to Evoke for getting that right. Another thing it (arguably) got right was the twist-and-go operation of a direct-drive system via 400-amp controller that eliminates the need for clutch, shifter and gearbox. Not only are all those parts heavy, but they complicate operation and maintenance, and so taking the out of the equation makes this a fairly new-rider friendly bike indeed. Alas, you can’t just toodle on down to the local dealership to score a new Urban S, but you can pre-order one for $200 earnest money on the $9,400 sticker. However, at the time of this writing, the factory’s limited-edition run had yet to sell out, and the special introductory price is only $5,400 so now’s the time if you think you’d like to get in on the ground floor with a new bike maker. 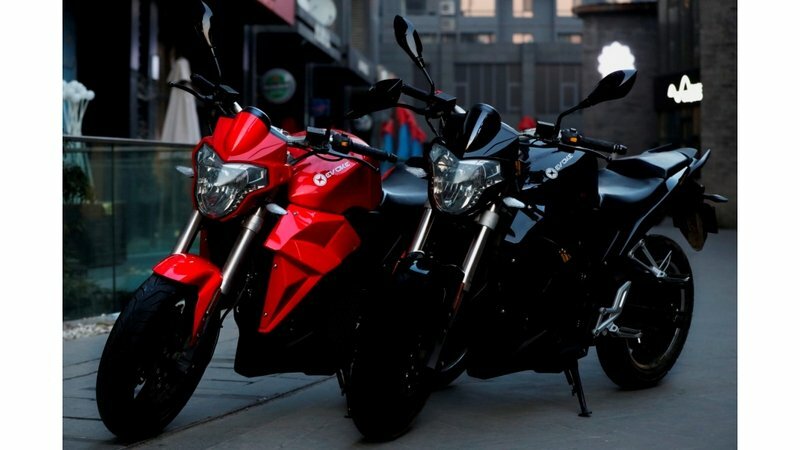 With the demise of Victory Motorcycles — an overly-optimistic brand name as it turns out — the Brammo-designed Empulse’s fate is an unknown quantity at this point. 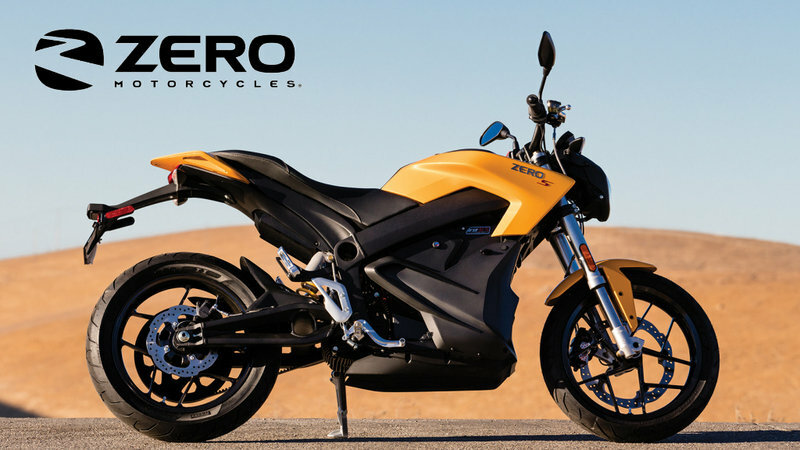 Not to worry, we still have the brand with the most expansive lineup yet; Zero Motorcycles. The Zero S is the Urban’s main competitor for the entry-level electric road-bike sector, so let’s see how they stack up. First off, both do a good job of meeting aesthetic expectations and neither really scream electric at a glance, but the Evoke definitely carries a more dramatic set of lines, and will appeal to a showier customer. 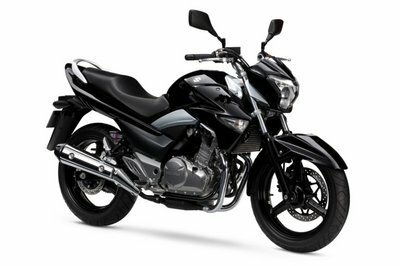 Honestly, I prefer the understated, business-like looks of the Zero ride, but to each his own. The base model Zero S with the cheapest power pack will only deliver 81 miles in the city, and that drops to half the range at highway speeds. 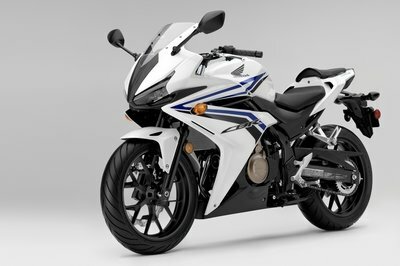 Of course, you can beef up these figures, but it’s gonna cost ya, and the base model Evoke S claims 125 miles in the city and 75 miles on the highway for quite a bit more riding time per charge. 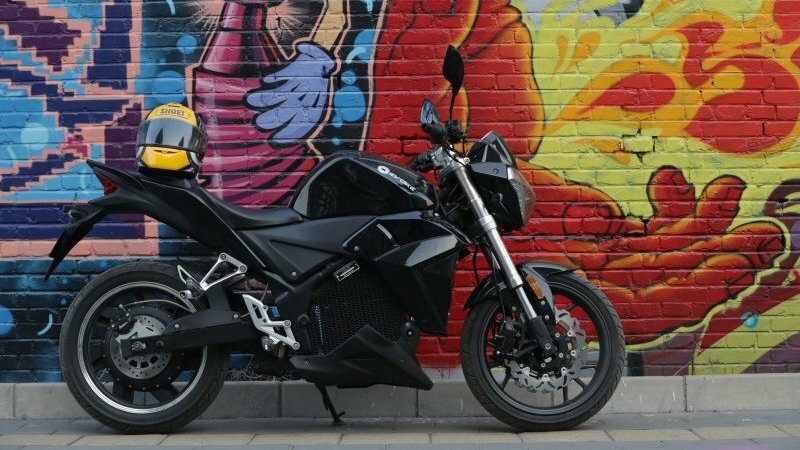 Zero does claim to get 91 mph from its electric drive with 78 pound-feet of torque on tap versus 81 mph and 86 pounds of grunt from the Urban, so the performance numbers kind of average out. A stock Zero S will set you back $10,995 while the regular price of the Urban places it over a grand lower. Factor in the special offer on the Evoke and you really have some savings, but that won’t last forever. One thing Zero has going for it is flexibility; a variety of charging and storage options are available to extend the range beyond that of the Urban S and enjoy quick charges to boot, those features come at a heavy price that can easily inflate to something just south of 20 grand. So yeah, you can have the range if you are willing to pay for it. 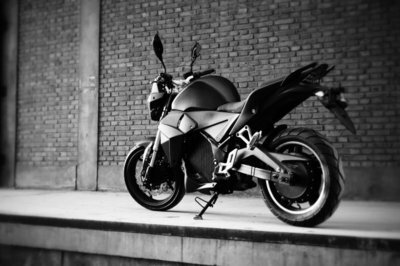 My wife and fellow motorcycle writer, Allyn Hinton, says, "I love this growing electric market and the range on the Urban S, especially in the city, is awesome. Folks point out that with having to charge the bike through the electric outlet, it isn’t a clean break from fossil fuels, but one step at a time, yeah? With the continuing development of electric bikes and solar energy, we’re getting closer to true self-sustainability."